Love The Past, Play The Future: Pro Evolution Soccer 2016 returns for its 20th anniversary season! Advanced Collision System – The physicality of the modern game has been realised in PES 2016 with a significantly improved collision system, calculating how players interact, creating a unique outcome depending on type of impact. Aerial Strength – With the new physicality system, aerial battles are a completely unique experience this year. Use the left stick to battle the opposition to disrupt a larger more powerful player, or find the best position to make the header/volley. Intelligent Player AI – 2-3 player combination play will be available by the improved concept of team strategy, which depends on the type of tactic you set for your team. Players no longer are reliant on manually triggering a 1-2, with teammates intelligently running off passes into space. Goal Keeper ID – In a bid to improve quality and add unique individuality in performance, new goal keeper parameters have been added, that now vary in Catching, Clearance, Collapsing and Deflecting. This adds character to the players, who you can count on catching the ball rather than punching, or are better at stopping close range shots. New Master League – The famous and hugely popular Master League sees a total revamp, allowing users to immerse themselves in the managerial world of soccer. 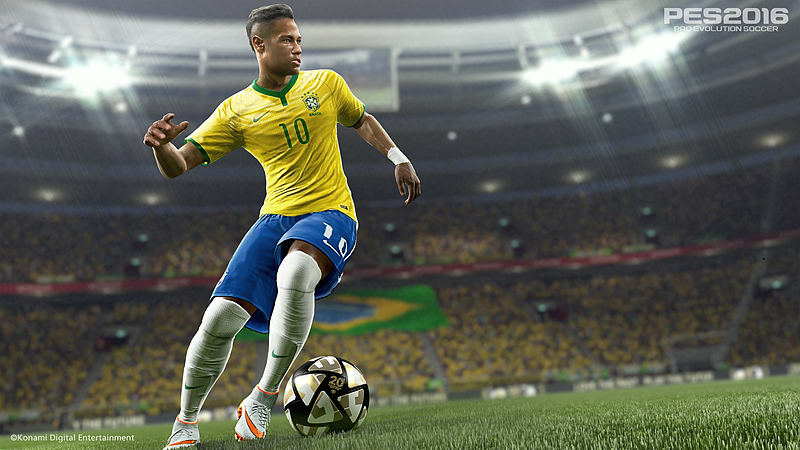 Every element has been redesigned or reworked, from the vibrant and involving menus to the new and exciting player transfer system, PES 2016 see one of the series most integral modes redefine the single player experience. New Visuals – Incorporating the many advancements of Fox Engine the visuals have seen a huge upgrade. See the rain splash as players slide in to win possession, or the turf kick up as you strike the ball into the top corner. New night-time lighting and real turf textures add to some of the many improvements. 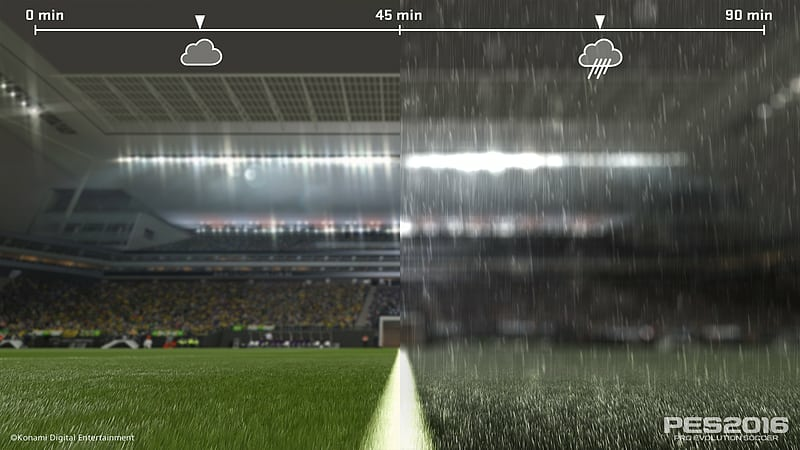 Dynamic Weather – For the first time in the PES series dynamic weather has been introduced, with the chance of rain starting during the game. Combined with the ever more realistic ball physics, the rain changes how the game can be played with passes speeding up, and players less skilled to struggle with trapping. The defender taken by the 1 on 1 will be covered with pitch blades by slipping and falling. This feature is applied to all offline modes including the Master League, becoming an important element to decide the outcome of the match. Human Motion – Seeking to humanize player movement, 3x new animations have been added to bring the in-game superstars to life. Goalkeepers have seen an abundance of save animations added, while outfield players shoot, pass, dribble and tackle in a countless variety depending on the situation. Players complain when a foul isn't given, or lament a teammate when a pass isn't made when in open space. The new 1v1 control also benefits from this, with players being able to fool their opponents with shimmies and feints, that can result in causing the opposing player to lose his balance and fall in the wrong direction! myClub – Since the launch of the mode in PES 2015, myClub has been updated on a weekly basis, and now have been further improved based on user feedback for PES 2016. The enhancement will introduce player level systems, and players exclusive to the mode. Use GP acquired through matches or myClub coins to experience realistic club management combined with players to strive to be stronger in your squad. Choose the manager, consider coaches, and build the strategy based on what you aim with your team. Build Your Team, Create Your legacy! Dynamic Wide Camera Angle – The new angle gives you a larger field of view, allowing you to better plan and adjust your players to compete in aerial battles, or see the intelligent runs being made thanks to Intelligent Player AI. Depending on where the ball is on the pitch, the camera will tilt and zoom in/out to make sure the user has the best view possible during the match. Commentary – New commentators have been introduced for both UK and Germany, with Peter Drury and Marco Hagemann joining the PES team. An abundance of new lines and specific stories have been recorded dedicated for Master League, responding to player transfers, player growth and team performance. 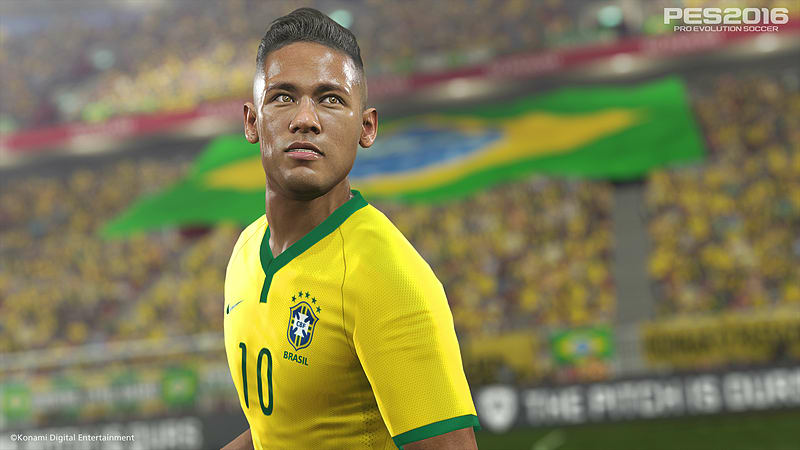 PS4 Image Importing – Edit mode is synonymous with the PES series, and further updates have been made to this hugely popular mode. PS4 (and PS3) users are now able to import images into the game perfectly replicating any team kit or emblem the user wishes - including managers.